A civilian helicopter had a minor mechanical issue while enroute to San Carlos Airport. The pilot made a safe, controlled landing in the Kmart parking lot. Mechanics from the San Carlos Airport were notified and responded. They were able to fix the issue. 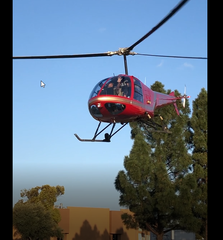 At 6:26 PM the helicopter lifted off and returned safely to San Carlos Airport. NTSB notified, incident report taken. No injuries, no damage to the aircraft and no damage to public or private property.